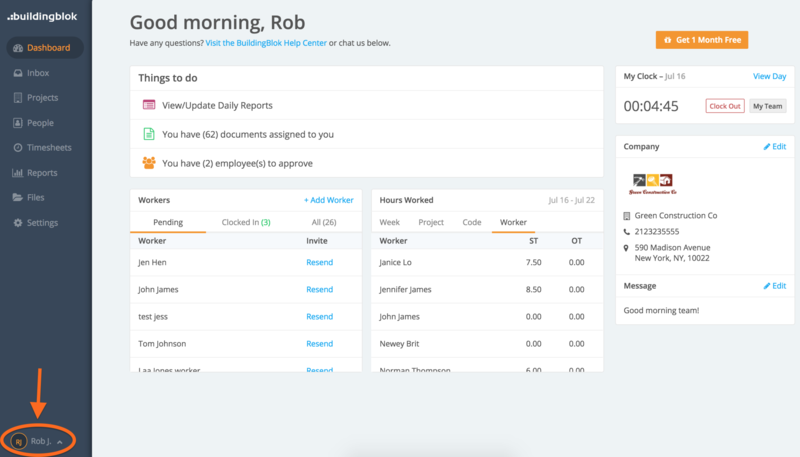 All of us at BuildingBlok are excited to share our new system design update with you! We've released a sleeker design that ensures enhanced performance and even easier user experience. Your account details and logout button is now grouped with the rest of your menu items in the bottom-left corner (previously in the top right corner). All your Timesheets needs and features now live under a single Timesheets menu tab on the left. Clicking into Timesheets will expand all the options you need so you see them only when you want them. Your team now lives in one simple, easy to navigate place. Simply click "People" in the left-hand global navigation menu to browse all of your employees, Timesheet workers, and contacts from their individual tabs. Have questions? Click here to visit our help desk. To speak with one of our customer success experts, give us a call at (800) 708-2565.